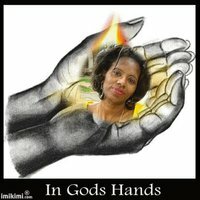 My friend Brenda is doing a SAFE IN GOD’S HANDS support group. This is the second week. Tonight was very special and we felt a real closeness with each other. We helped someone whose life is in danger and gave her support to be safe. SUPPORT LINE…. 1-712-432-3900…PIN # 647-495 EVERY THURSDAY @ 9:00PM-11:00PM NATIONAL DOMESTIC VIOLENCE…. The rise of parent abuse has many parents feeling too ashamed to get the help they need. If your teen is violent, don’t minimize the problem. Face it head on. getting help because acknowledging or naming the problem is painful. You are not alone again. Although the problem isn’t often talked about, it does exist and it is increasingly common. Blaming is not the answer or even a useful response to the problem. Please join the support line this next week. Even if you are not being abused yourself, you may know someone who is being abused and you can learn how to help her. If you have a story that you would like to share with our readers, please feel free to share it with us. Tell everyone you know about this superb support group. Please send me an email if you plan to attend so I can let her know how many to expect, I am signed up, or you can go to her Facebook Page and confirm that you will be there. minimize the problem. Face it head on.